This entry was posted in Architecture, Capisic Street, For Sale, History, Images, Off the peninsula, Second Empire Style, Stroudwater, Then & Now and tagged 19th Century, Architecture, Hay and Peabody, History, images, Maine, mansard roof, Portland, Portland Maine, Second Empire, Stroudwater on November 22, 2017 by alewifecove. At one time inhabited by a family of Flys. This entry was posted in Architecture, Colonial, Glimpses, History, Images, Off the peninsula, Post Colonial, Stroudwater, Then & Now, Westbrook Street and tagged Architecture, Glimpses, History, images, Maine, Portland, Stroudwater on January 1, 2017 by alewifecove. Glimpses. 17 Garrison Street. The William Slemmons house. Built around 1786. William Slemmons operated a grist mill on the Stroudwater River dam behind his home. This entry was posted in Architecture, Garrison Street, Glimpses, History, Images, Off the peninsula, Post Colonial, Stroudwater and tagged Architecture, Colonial, History, images, Maine, Portland, Stroudwater on October 16, 2016 by alewifecove. Built in 1802 by Oakes Sampson. Home, in the early 1920’s, to the American Impressionist painter Walter Parsons Shaw Griffin. This entry was posted in Architecture, History, Images, Stroudwater, Westbrook Street and tagged American Impressionist, Architecture, History, images, Maine, Portland, Stroudwater, Walter Parsons Shaw Griffin on July 30, 2016 by alewifecove. 1365 Westbrook Street. The Francis Waldo / Daniel Dole house. Much has been said and written about General Samuel Waldo. War hero. Scoundrel. Promoter of colonial settlement. Opportunist. Above all of these, for our purposes, he was a powerful force in the early settlement of Portland and the area. 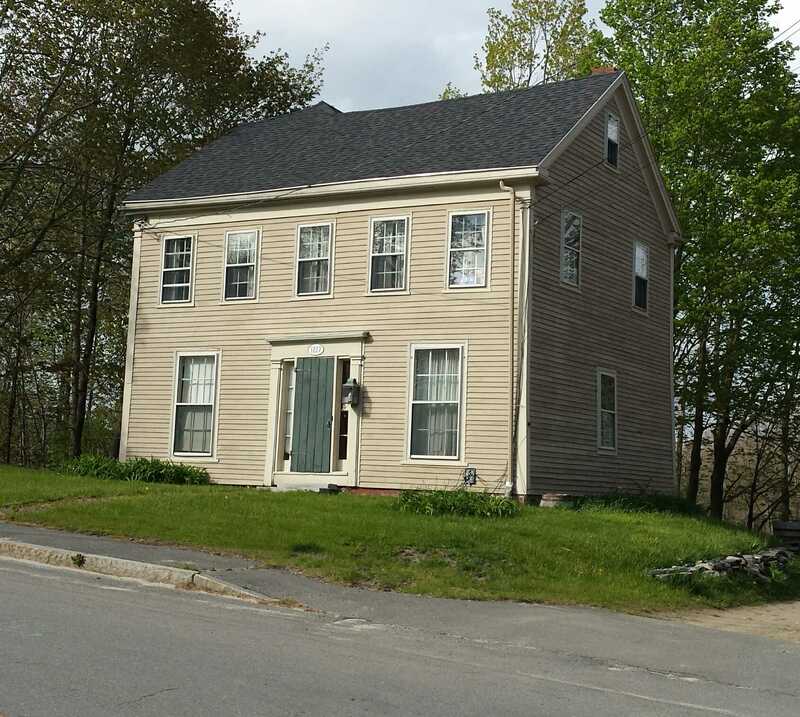 This entry was posted in Architecture, History, Images, Post Colonial, Stroudwater, Survivor, Westbrook Street and tagged Georgian, History, images, Maine, Portland, Samuel Waldo, Stroudwater, Thomas Westbrook on July 2, 2016 by alewifecove.